Whether you are an eager up-and-coming PA or a skilled EA strategist, professional guidance through career mentoring is the best way to immediately get on the right track to an outstanding EA career. If you think about your career as similar to that of a star athlete, it will become clear that even with the right skill-set and attitude, and bucket loads of motivation, you need a good mentor to show you how to best utilize your talents. A Consultant Mentor will address your challenges and plot a pathway to the top of the EA profession and beyond. The independent advice of a professional EA mentor will provide ideas for your next career move, and will stop you falling back into old habits that are unproductive. If you’re tired of the rut, now is the time to seek an independent perspective. Executive offices should run seamlessly, like a well-oiled machine. Personal-Assistant-Tips will work with you to create a programme that delivers what you want. We aim to take PAs, EAs, Admins and Team Secretaries from good to great so that the executive's time can be freed up to do what they do best. If all PAs in your organisation go through our mentoring programme, your organisation has the right to expect their PAs to perform their duties well. Organisations will benefit from the cutting edge service and increased productivity provided by their mentored Personal Assistants. Investing in our PA mentoring programme will help organisations to keep the people with career potential. Our mentoring programmes can be conducted face-to-face, via telephone and via email, which makes our programmes a convenient option for PAs and EAs around the world. Personal-Assistant-Tips offers the following mentoring programmes for Assistants. Payment can be made online by clicking on the appropriate orange button below or by bank transfer (contact us to request an invoice). Career mentoring is an excellent development tool for Assistants, particularly if they have reached a “glass ceiling” in their career. Our career mentoring programme is a comprehensive 6-8 month programme that consists of three 2-hour face-to-face meetings, three 1-hour telephone meetings, and email assistance. Clients receive a comprehensive Action Plan after every meeting and are encouraged to complete all assignments. This programme allows Assistants to work through their development plan in real time. This is an intensive face-to-face session that is ideal for Assistants who live in the Greater London region in England. The session is completed in one day over a 3-hour period. It provides an opportunity for Assistants to have their productivity and career questions answered, receive advice, and agree a plan for their personal development. Clients receive a comprehensive Action Plan with assignments and goals. This intensive programme is conducted by telephone and email only, to accommodate Assistants who cannot attend face-to-face. This programme consists of two 45-minute telephone calls (we call you), plus one email per week for 4 weeks. Clients receive a comprehensive Action Plan with assignments and goals. This mentoring option is ideal for Assistants on a tight budget, particularly those who are self-financing and need quick best practice advice, and strategies for improving their performance. This option consists of two 45-minute telephone sessions, conducted over two weeks (we call you). Our detailed mentoring questionnaire helps us to assess the client’s needs before the session to aid discovery. This service is conducted via email. We provide detailed advice on CV/resume content and format. We review and comment on 2 drafts of your CV/resume and advise clients how to make their CV stand out, and how to thoroughly prepare for an EA interview. We provide advice on how to create a winning interview strategy, and what to say to take charge at the interview. We offer a unique training and career mentoring package for those times when training alone is not enough to move your career forward. Contact us for details. 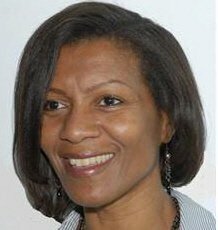 Our Consultant PA Mentor is Marguerita King BSc DipPA. She is the founder and Managing Director of Personal-Assistant-Tips and a former Executive PA with over 25 years' experience. Marguerita has been called "A PA guru" and "The Wikipedia of the PA profession". "I am passionate about increasing PA know-how. I currently live in London, England where I grew up. I remember the days when girls aspired to be secretaries and the skills that really mattered were typing speed, accuracy and tabulation. Much has changed in the PA profession since then. And PAs are constantly challenged to add value to their business partnerships. As a Consultant EA Mentor I work with Assistants from many countries who are at various stages of their career. I have developed high quality PA training courses, written hundreds of "how-to" articles for Administrative professionals, and built a comprehensive website resource for Assistants. Therefore, I am well aware of the challenges Assistants face on a day-to-day basis. Today's executives expect a lot more from their Assistants so EAs need a wide and varied skill-set. I believe EA & PA mentoring is a good tool for advancing your career overnight. I enjoy broadening perceptions and stretching capabilities. It is very satisfying to see Assistants transformed and moving forward in their career in leaps and bounds. I hope you decide to opt for one of our mentoring programmes. If not this year, make it a future development goal. To begin preparing your business case for mentoring, click on the link below to download our business case suggestions.